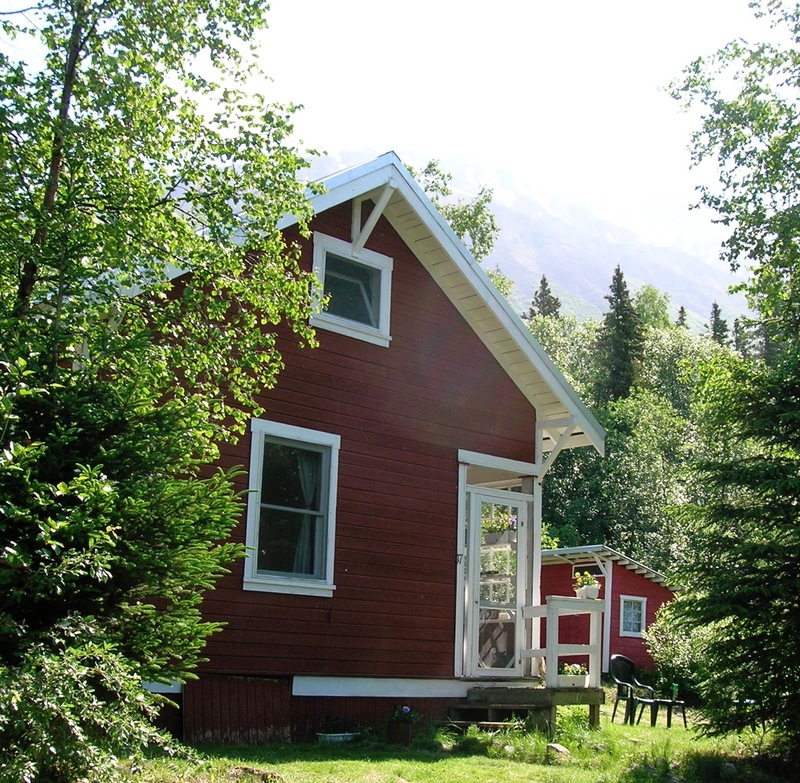 Rent this cozy cottage, built in 1918, in Kennicott, Alaska as your base for exploring Wrangell – St. Elias National Park & Preserve, the largest wilderness area in the United States. You can rent the entire cottage, for exclusive use and the ability to sleep up to 8 people; or you can rent a guest room. There’s a 2-night minimum stay; believe us, once you’ve arrived in Kennicott you’ll want to stay for at least that long! There’s lots to do in Kennicott. Tour the Kennecott Mines National Historic Landmark, hike old wagon trails along the Root Glacier or to the town of McCarthy 5 miles away, take a guided hike onto the Root Glacier, see 16,390 foot Mt. Blackburn and the Stairway Icefall, a 7,000 foot vertical wall of ice, or take a flightseeing trip to see the spectacularly wild country around the town. You can also enjoy making meals in the cottage kitchen, playing games around the table in the living room, relaxing in the yard, and watching the world go by from our front porch. The cozy cottage in this remote part of Alaska consists of a living room, kitchen, and three guest rooms, as well as a shower and sink in an outbuilding. There is an outdoor privy and no flush toilet. Though the cottage was originally provided with power from the Kennicott Copper Company generator, there is no longer electricity (though you can charge your handheld devices via our solar power system). Heat is provided by outside-venting propane heaters while propane lights illuminate the house. The kitchen has running hot and cold water, a propane stove, propane lights, and propane refrigerator.